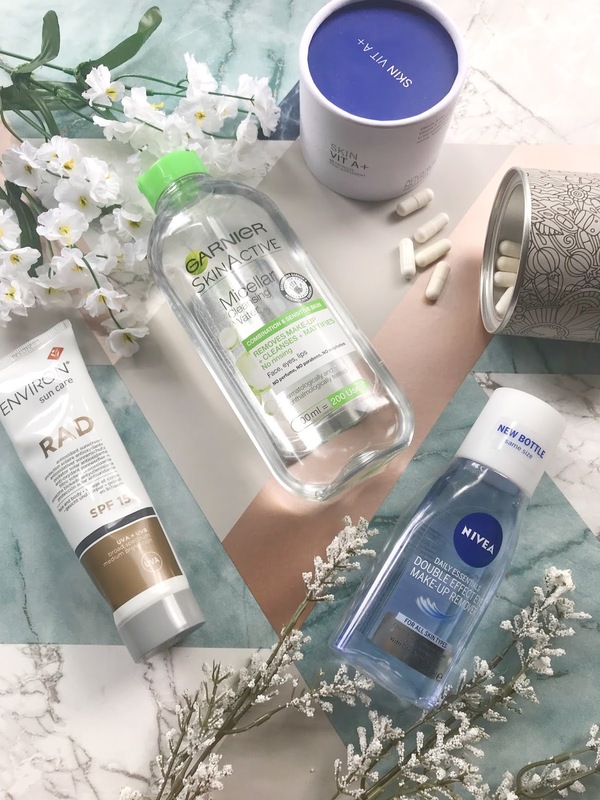 Its been a while since I wrote a post dedicated to skincare and recently I have noticed that there are a few products that I cannot live without and these would be my skincare superheroes (needed a good title). These products are also something that I would recommend everyone to try to up their skincare game! At the salon, I work at we carry products from the Advanced Nutrition range. It is a range of skincare and well-being supplements which help to feed your skin from within. 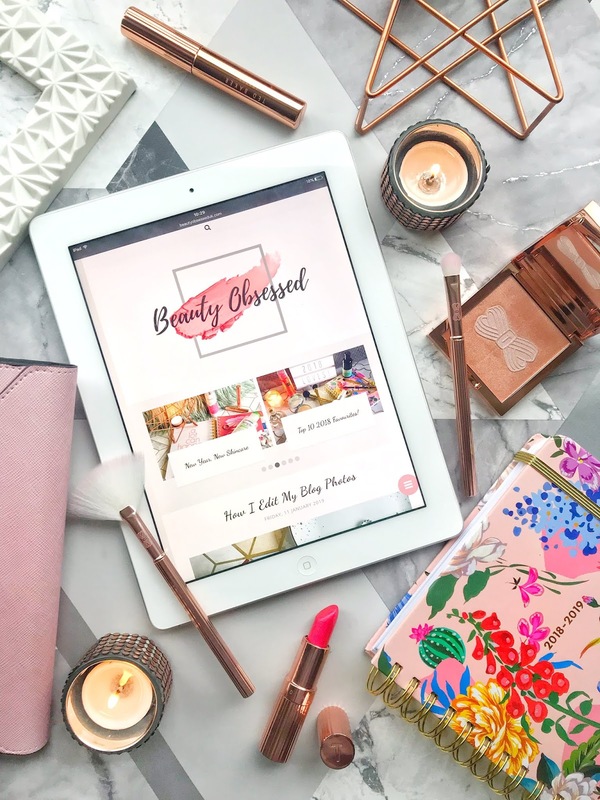 Before I trained with the brand I didn't realise how many more benefits you would get by adding a skincare supplement to your beauty routine. With healthy skin cells, you can achieve impressive results for your skin. 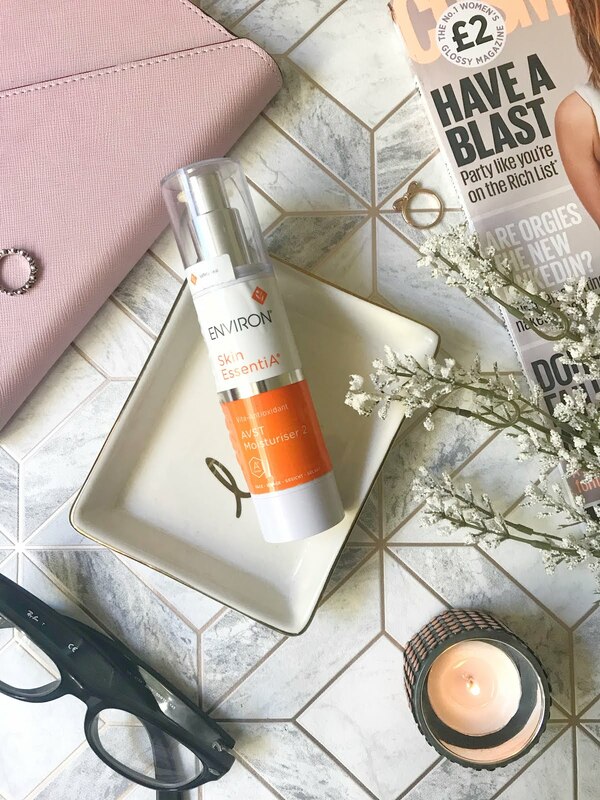 Recently I have got back on track with my skincare (for a while I was just doing the basics) and started using Skin Vit A which is a vitamin A and D capsule, Vitamin A is one of the most vital nutrients that we need for our skin it encourages skincare renewal. Vitamin D has also been added to these capsules for bone and muscle health. This product has really transformed my skin, I have only been taking it for about 2 weeks and have already seen a change in my skin. My skin used to be very oily and I would need to powder my skin multiple times a day but now I only need to powder at least once which for me is really good. I also haven't been getting as many breakouts (I still get a few around my time of the month) and overall my skin just seems to be getting better. I think the price of this supplement is also really great because you get 60 capsules and only take 1 a day meaning it would last you two months! ill do an update on my skin after my first months finished. I have used this cleansing water on and off for years. The reason I use this cleansing water for my oily skin is that there is a misconception with oily skin that you have to strip the skin of its oil because all the skin will do is produce more oil to compensate for the loss of oil. This cleansing water is specifically for oily combination and sensitive skin to remove impurities without irritating the skin. This micellar water removes makeup and eye makeup easily without rubbing at the skin making it very gentle. I've been using this product for years because of how good it is for easy and effective cleansing. I mainly use this product when I have done have the time to do my full cleansing routine which involves two different cleansers. I might use this a couple of times just to make sure that I get all of my makeup off, this even works when I have thick makeup of foundation and powder. I also like to use this in the morning to just freshen up my skin before I apply my moisturiser. I have used mentioned this product previously in my Skincare Haul. I have mentioned this eye makeup remover before in my Skincare routine post that I made a while ago. I have been using this remover for so long, I have tried others but they just don't measure up to this one. This eye makeup remover has a two-faced extra strength formula, the oil part removes all eye makeup including waterproof effectively without you needing to pull or tug at your eyes. The other part of the remover is aqueous which protects the eyelashes without leaving any oily residue. This has been in my skincare routine for years just because of how effective it is at taking my eye makeup off. All I do is hold a cotton pad with the eye makeup on over my eyes for a few seconds and swipe and them most of the makeup is off, there's no need for rubbing at your eyes. I also have very sensitive eyes and a few different eye makeup removers have irritated my eyes but this one doesn't. I will always use this remover I'm probably already on my 10th bottle! This sun cream is one of my favourites to use and it's a product that I use on a daily basis. RAD is a sun cream that contains sun reflectors and filters to provide the right sun protection. This sun cream is a mix of chemical and physical sun protection which protects against UVA and UVB rays, I explain more about physical and chemical sun creams here. RAD also provides antioxidant protection which enhanced protection from environmental factors such as pollution. This sun cream is also perfect for face and body protection. RAD has been a product that I have been using since I went on my product training for the brand 3 years ago. I found it so hard to find a sun cream that I can use on my face and body that doesn't have that weird smell and doesn't give my skin that white ashy look and this sun cream doesn't do any of this. This sun cream is also really silky and keeps my skin feeling moisturised. In this heatwave and on holiday I tend to apply it every 2 hours for maximum protection. Skincare has always been a passion of mine and I have loved finding new products that I can't live without! 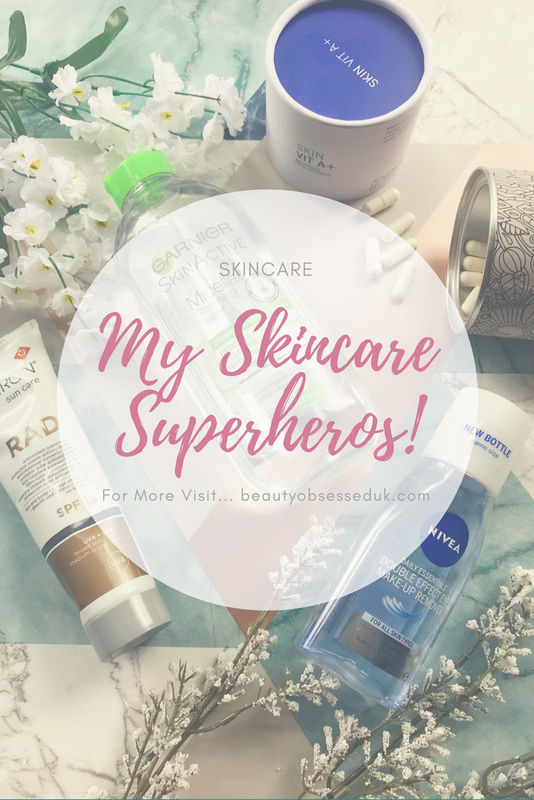 What are your skincare superheroes? You can't go wrong with garnier micellar water! I've seen so many good things about the Nivea makeup remover that it makes me want to try it out! I currently use one from The Body Shop that sounds pretty similar but this is so much cheaper so I definitely will try it instead. I'm one of the people who's never got on with micellar water but I wish I did as it's still so raved about! great post! i love experimenting with new skincare because really you only get one chance with your skin so might as well take care of it! i’ll have to try that eye makeup remover, im always looking for a good one because my eyes are sensitive and pretty much everything burns! thanks for these recommendations, sending lots of love! I have the original Garnier Micellar Water, and it is one thing that I will never ever get rid of! I've tried tonnes, but always go back, so I'm staying with it for good! I've recently picked up a few Nivea products, and am super excited to give them all a try! WOW this was a nice roundup! I'm going to look into the Skin Vit A products. Lately, my skin has been super oily. I never thought to try vitamins for my skin, nice tip and will certainly save money at the dermatologist. I love that you named it superhero products :) What a great idea!